Only in recent years have we discovered the relationship between snoring, sleep apnea and several medical conditions including heart disease, high blood pressure, anxiety, depression, and ADHD. We are now learning of two more conditions that are related to snoring and sleep apnea – Osteoporosis, and Osteoarthritis. While snoring itself does not cause either condition, it is one of the most common symptoms of OSA and because it’s so common, it’s often overlooked and does not receive much attention by both patients and physicians. Let’s examine these three conditions and then discuss how recent medical research has found a link between the three. Obstructive Sleep Apnea (OSA) is classified as a sleep-related breathing disorder and it affects nearly 25% of adults 30 years and older. 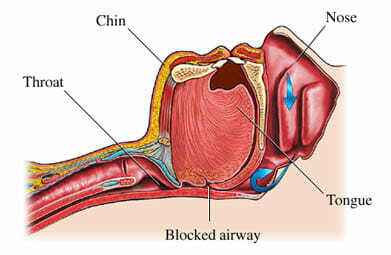 The condition occurs when the airway becomes obstructed during sleep which causes breathing pauses and arouses the body to awaken throughout the night in order to stimulate the airway to clear the obstruction and resume normal breathing. This perpetual cycle occurs throughout the night, causing the affected person to wake up feeling tired and lack energy throughout the day. The issue with OSA is that stopped breathing, even momentarily, causes carbon dioxide levels to rise and oxygen levels to fall which can lead to a number of other conditions. In addition, the lack of quality sleep leads to daytime sleepiness which has a multi-million dollar economic impact due to lost productivity as well as workplace and auto accidents. What is Osteoporosis and How Does It Relate To OSA? 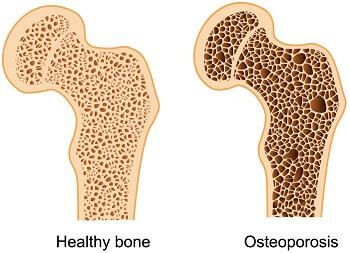 Osteoporosis is a common bone disease that occurs when bone density is reduced, causing bones to become weak and brittle. It’s most common in people who are older than 50 and the diagnosis often comes as a surprise after one breaks a bone. It’s estimated that over fifty million Americans are affected by this condition. The disease is more common in women – affecting nearly 50% while only 25% of men are affected. Injuries that are common in those with Osteoporosis include broken hips, wrist, or spine although breakage can occur in a number of other areas. Serious complications can occur after an older person breaks a hip, which is one of the reasons why this condition should be treated soon after discovery. Osteoporosis can be detected by conducting a bone density test. When examined closely under a microscope, a normal bone structure appears as a honeycomb with tissues formed tightly together. With Osteoporosis, the “holes” become larger due to tissue loss, resulting in bones that are more prone to breaking. While researchers are not completely sure how the two conditions are related, there are a few theories. One theory has to do with the acidic environment that is caused by oxygen deprivation. As mentioned earlier, with OSA, breathing stops which causes not only a rise in CO2 but also a drop in blood oxygen levels. When oxygen levels are lowered, it causes inflammation which increases acidity in the body which can promote bone loss. The other theory has to do with the consequences of lack of quality sleep. During sleep, our bodies go into “repair mode”. With OSA, we never fully achieve deep sleep and heart rhythm can be affected which can cause bone metabolism imbalances and ultimately bone loss. What is Osteoarthritis & Rheumatoid Arthritis and How Does It Relate To OSA? Yet another common medical condition is being linked with sleep apnea – Arthritis. Rheumatoid Arthritis (RA) is the most common form of arthritis and is actually classified as an autoimmune disease that affects an estimated 1.3 million American adults, mostly elderly women. RA occurs when the body mistakes healthy body tissue as a foreign object and attacks it, resulting in pain, swelling, and eventual bone loss and deformity. While this often occurs in joints such as the hands, it can affect other parts of the body including the heart, lungs, and skin. Osteoarthritis is another form of arthritis that also results in inflamed joint and discomfort. The primary difference between osteoarthritis and Rheumatoid Arthritis has to do with the cause of the disease. 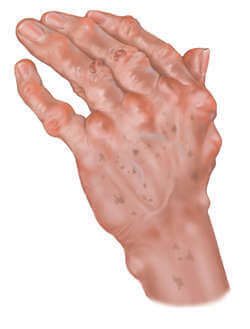 As mentioned, RA is an autoimmune disease that attacks healthy tissue, resulting in inflammation and pain. In comparison, osteoarthritis is caused by physical wear and tear which also causes inflammation. The key difference here is that osteoarthritis is not an autoimmune disease. Exactly how are sleep apnea and arthritis related? Once again, we can not say with complete certainty why the two are related, although there’s at least one theory as to why those with sleep apnea are at higher risk of developing arthritis. With sleep apnea, pauses in breathing cause inflammation of the blood vessels throughout the body. Over time, this constant inflammation may cause arthritis which can appear in the joints as well as other parts of the body. What Can I Do to Prevent Osteoporosis and Arthritis Caused By OSA? While it may be some time before we know exactly why OSA contributes to so many conditions such as arthritis and osteoporosis, we do know that there is a correlation between each. The question is, what can we do to reduce the risk of developing these and other conditions caused by OSA? If you are experiencing any of these symptoms, consult with your doctor who will evaluate the possibility of OSA. Your physician will ask a series of questions to determine if you should visit a sleep specialist for further evaluation. If sleep apnea is likely, you may be asked to perform an overnight sleep study where several sensors will monitor functions such as heart rate, breathing, brain activity, blood oxygen levels, etc. If it’s determined that sleep apnea is present, you may be prescribed a CPAP machine or Oral appliance to assist with nighttime breathing which helps to prevent apnea events from occurring throughout the night. If you are overweight, your doctor may also help you develop a weight loss plan which is often helpful in treating OSA. Aside from Osteoporosis and arthritis, OSA can cause several other health conditions. Doctors are only recently paying close attention to this condition as research is showing that OSA is related to so many conditions.